LENS Consulting Firm helps businesses and individuals take their skills and initiatives to the next level. We work to improve social media branding through resume writing, LinkedIn profiles, media/press kits and sponsor/donor partnership connections. LENS Career focuses on providing career development services by getting our clients to reach their target and work with individuals on a one-on-one or group basis to see if their resume, LinkedIn profile and other career development documents portrays their professional status. 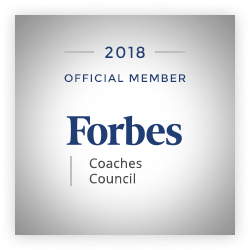 We work with Executives, Small Businesses, Specialty Professionals, and 501(c)3 Executive Directors through consultation, coaching, workshops and webinars to help enhance their networking skill strategies. For over 10 years, we have been a prime provider for positive brand management. LENS GrantAccess allows us to help organizations to get the funding they need for special projects, conferences or day-to-day activities by making educational institutions and non-profits thrive. Allow us to use our expertise in helping you get the donations, sponsorship and grants your organization need and deserve.